Sheen Magazine – Getting to know Jessica Alexander and the Inspiration Behind the Boss Babes Brunch! Getting to know Jessica Alexander and the Inspiration Behind the Boss Babes Brunch! Jessica Alexander decided to take a leap out of faith and create a world for women in her position, those who are destined for greatness. 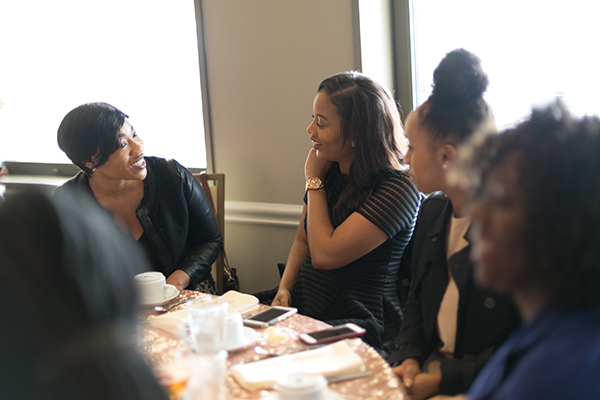 In 2018, she created the Boss Babes Brunch by reinvented networking and sharing her secrets to success with others. Read below to see Jessica’s impactful journey and be sure to follow her Boss Babe Brunch Tour this year. I am a Montgomery, Alabama native and Auburn University alumni. I am Possibility Strategist who helps individuals and small businesses get clear on their purpose, the plan, and their personal brand. I am a transformational speaker and author who is focused on allowing individuals to see what is possible when they walk in their purpose. For the past 10 years, I have worked as a marketing professional leading campaigns to help businesses gain brand awareness and new clients. I now teach small business owners strategies on how to make their brand more visible in their market. How did you get the courage to begin the Boss Babes Brunches? Starting the Boss Babes Brunch was something I started out of necessity. In 2016 when I finally decided to start Operation Evolve, LLC, I would go to networking events where I felt like it was a contest to see who could collect the most business cards by the end of the evening. I wanted a place for women who were like me to not worry about the type of purse she had or the name that was on her nametag. I just wanted women entrepreneurs and leaders to connect and collaborate in a genuine way. 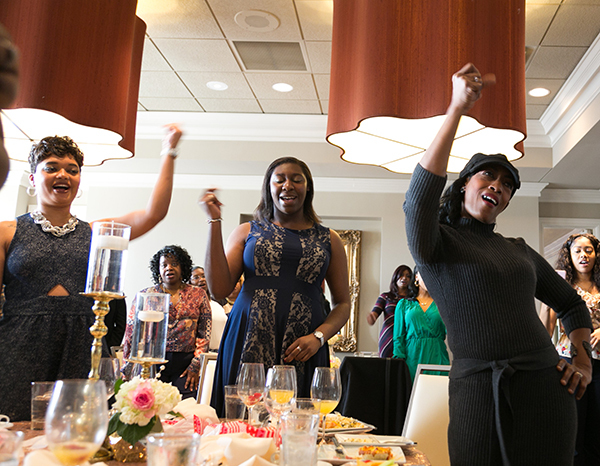 On August 27, 2016, I hosted the very first Boss Babes Brunch. In 2018, I knew I needed to take the brunch to the next level. So, I decided to drive across the country for the first tour, I leaned on my faith and purpose to get me through. Being on the road by yourself can be lonely and scary. But, every time I felt like I wanted to quit, I would think about the women who needed events like this so they could be fearless and build their brands. The Boss Babes Brunch Tour is a vision that is bigger than me. I get my courage to continue with this event from God who gave me the vision. I never want this event to be about me but the women (and men) who attend. What has been the most difficult part of your journey so far? The most difficult part of this journey has been having to be disciplined. Entrepreneurship is trendy right now and a lot of people talk about the glamorous parts of this “lifestyle.” However, when you are a full-time entrepreneur, you are fully responsible for your income and your business in general. Especially for my bootstrapping entrepreneurs like myself. When you do not have a team or if you have a small team, you manage every single aspect of your business. You are responsible for social media, marketing, accounting, human resources, customer services, etc. So, despite what many people think when you are just starting out, you are not waking up with a mimosa every day. 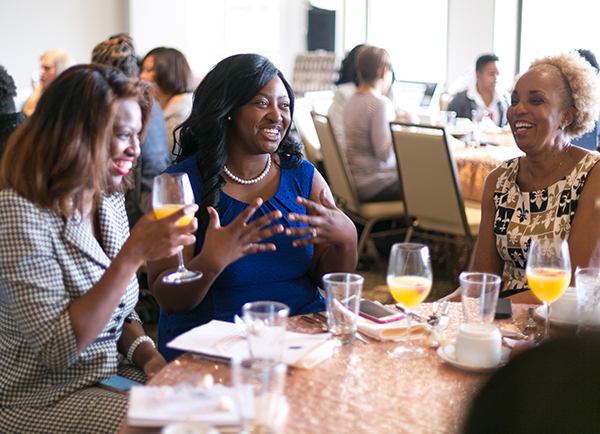 What do you hope each attendee and speaker receives from the Boss Babe Brunch Experience? The Boss Babes Brunch Tour experience is one of a kind. 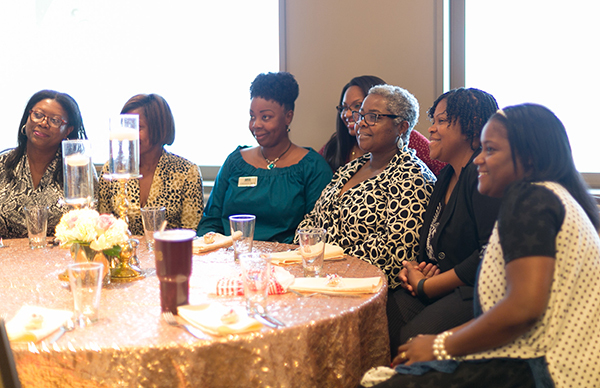 Attendees, whether you are a speaker, attendee, or vendor, can expect to build relationships with some of the amazing women in their communities. Also, our workshop presenters and panelists are going to provide some information that can immediately be implemented in one’s personal or professional brand. We will have local vendors on deck to give everyone an opportunity to shop local and support these women as they expand their brands. Also, for the 2019 tour, we are having the Boss Babe Business Pitch Competiton where three finalists will pitch their business concepts to a panel of judges. The winner will walk away with funding to start or grow her business. Lastly, we will have a delicious mimosa brunch for our attendees to enjoy! What can we expect next for you? In 2017, I published my first book, “Boss Up! Pursue Your Purpose with Confidence”. I am currently working on book #2 that will be released in 2020. Also, Boss Babe University launched in January 2018. It is an online portal for women in business that provides on-demand digital courses that help Boss Babes grow their brand. I will be providing more digital courses and webinars for entrepreneurs and leaders throughout 2019. Lastly, I will continue to use my voice to empower girls and women across the globe through workshops and speaking engagements.